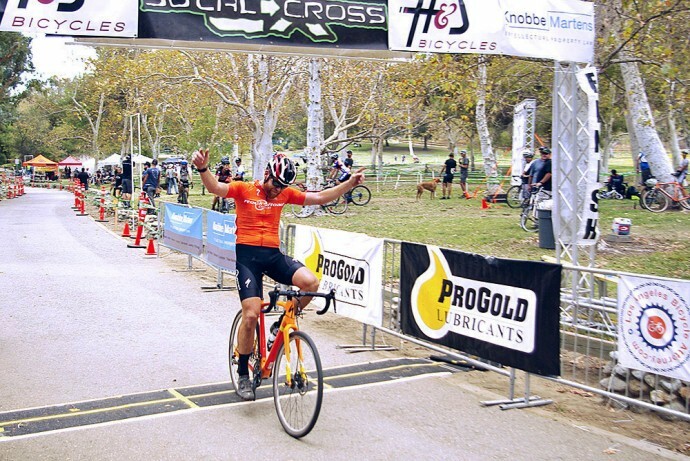 The SoCal cyclocross season slipped onto the small cog in a big hurry with a doubleheader kickoff weekend at O’Melveny Park in Granada Hills. 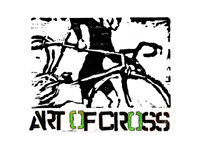 This rarely utilized facility in the northern end of the San Fernando Valley provided all the elements typical of the iconic SoCalCross Prestige Series, including fast grass, a couple of dismounts, a bit of pavement and a deceptive degree of climbing. The whole course seemed to consist of false flat, which hammered unsuspecting riders with its accumulative elevation gain. To no one’s surprise, the weekend was warm and dry—just like every other CX race in these parts in recent memory. Saturday’s Men’s Elite race at the O’Melveny Cross presented by H&S Bicycles was a barnburner. Holeshot artist Dave Sheek (SDG/Bellwether p/b Krema Peanut Butter) led briefly but a number of riders took a turn at the front. Many of these guys were unfamiliar to local CX enthusiasts and, adding to the confusion, were riding mountain bikes. Case in point: Frenchman Julien Bourdevaire (Blackstar/Rock N Road) had been tearing up the local Pro MTB events all spring and summer, eventually capturing the Kenda Cup Series with ease. But this was his first cyclocross race in the U.S., making him a mystery man among this crowd. Notably absent from this field were the Gritters brothers. Nowhere to be seen were both Kyle and defending series champ Brandon. Their day in the sun was Sunday. The lead group waxed and waned and saw more shuffling than a $5 blackjack table at Harrah’s. 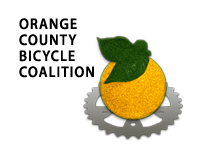 With five laps to go, a decisive pod of six finally formed that would stick to the end: Bourdevaire, Chris Jackson (Castex/Felt), Alfred Pacheco (Buena Park Bicycles), Scott Lundy (Serious Cycling), Brent Prenzlow (Celo Pacific) and Brian Gordon (Blackstar/Rock N Road). Bourdevaire, who had appeared comfortable throughout the hour-long foray, threw down on a slight dirt road climb on the final lap and immediately found himself with the winning margin. Chaos ensued just behind as second-placed Jackson threw his chain during the final, paved finish sprint, hit the deck and scattered the remnants of the contenders. Pacheco soft-pedaled across the line for second, Gordon third, Prenzlow fourth, and Lundy fifth. A bloodied but unbroken Jackson would remount and finish tenth after being examined briefly by the medical staff. The Elite A Women’s class was far less dramatic. 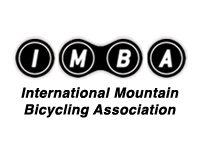 Amanda Nauman (SDG/Bellwether p/b Krema Peanut Butter)—fresh off three straight top ten finishes in tough UCI races in Wisconsin and Nevada—snapped away from staging and was never headed. Nicole Brandt (LaGrange/Michelob Ultra) applied some pressure for one lap, but by the end of the second circuit the small field was spread all over the park. 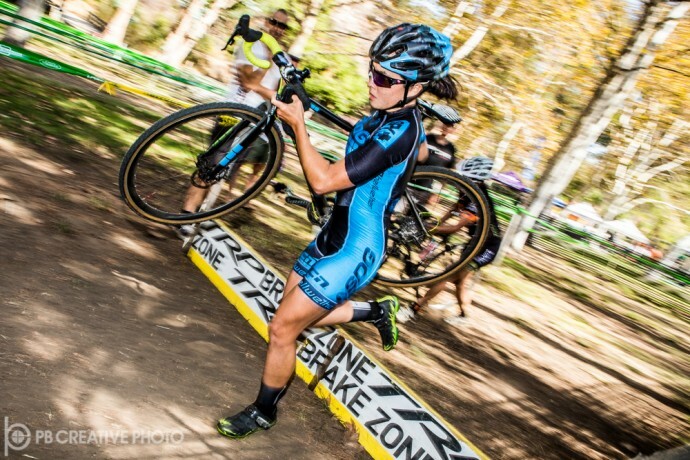 Christina Probert Turner (The TEAM SoCalCross/Turner Bikes) eventually rounded out the top three. Newcomer Summer Moak (K-Edge/Felt) and McKenzie Melcher (The TEAM SoCalCross) completed the top five. Sunday’s race was conducted on the same course but under slightly cooler weather. The biggest difference, at least in the Men’s race, was the appearance of Brandon and Kyle Gritters at the start grid. The previous day’s winner, Bourdevaire, did not. True to form, Sheek nailed yet another holeshot, but half a lap in it was Jackson leading Brandon Gritters (Rock N Road) and the rest of the 17-strong field. Jackson slid out before the lap was completed, immediately handing Gritters a five- to ten-second cushion. The defending champion later admitted that it was tempting to sit up and wait for the peloton, considering there was almost an hour left in the race, but decided instead to keep the throttle pinned. He quickly built a 20-second gap. The chase was taken up primarily by Jason Siegle (SDG/Bellwether p/b Krema Peanut Butter) and Jackson, with Gordon joining in during the later laps. But Gritters was having none of it, maintaining a solid pace with enough of a margin to cruise up the finishing stretch and still cross the line with more than ten seconds to spare. Siegle outsprinted Gordon for third, as Pacheco squeezed in ahead of Kyle Gritters (Rock N Road) to fill the podium. Nicole Brandt’s primary goal in Sunday’s Elite A Women’s race was to stay with Nauman for more than just one lap. But a broken front spoke for Brandt during the start and a subsequent bike change turned this eight-lap affair into what was basically a replay from Saturday. Nauman took off and ground it out 40 minutes in workmanlike fashion, and in her wake everyone else seemed to be in their own events; minute and a half gaps were the norm. Brandt ended up second again, Turner third, Kora Colasunno (S.W.A.T) fourth overall (and first B rider), and Moak fifth. Full results can be found at socalcross.org. 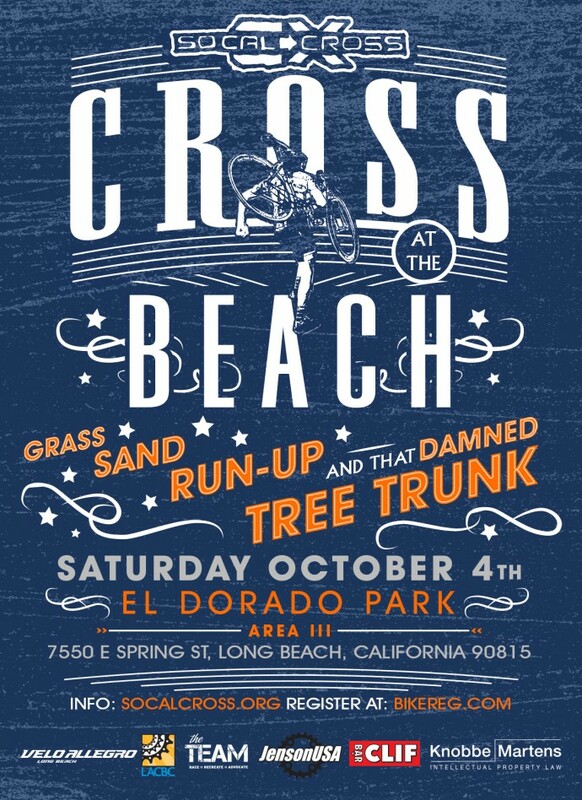 Next on the SoCalCross schedule is race #3 at Saturday’s “Cross at the Beach” at El Dorado Park in Long Beach 10/4. 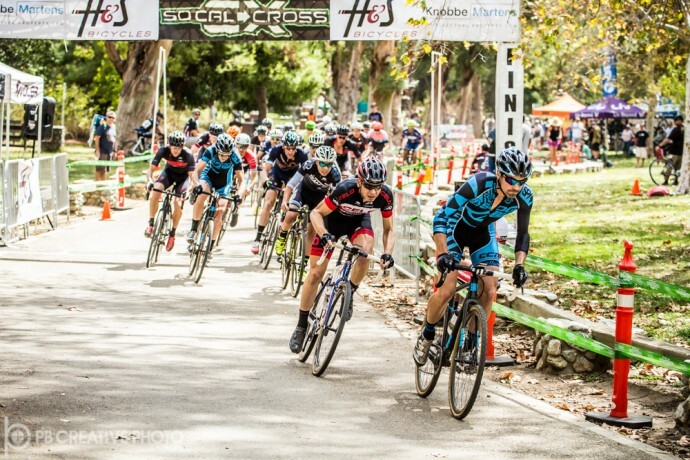 This will also serve as round three of the California Cyclocross Series, one of ten races across California set to determine the best racer in the state while showcasing the grit, the fun and the culture of the sport! 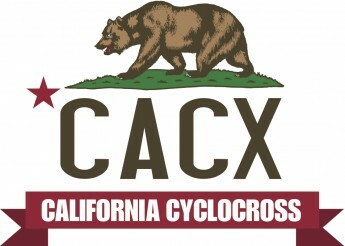 Be sure to visit www.CaliforniaCX.com for all the details on CACX. For more information and to stay connected to all SoCalCross PRESTIGE SERIES activities, be sure to bookmark SoCalCross.org as well as follow it all on Facebook and Twitter.